Material:Made of 80% Polyester & 20% Viscose. 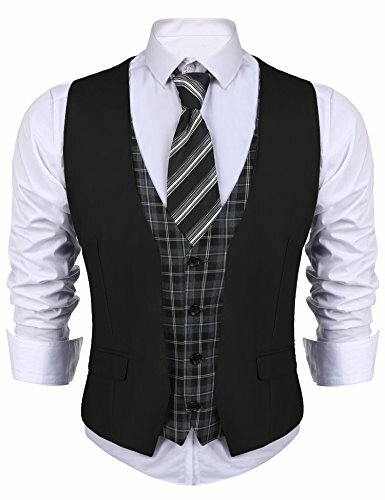 3 optional colors can be chosen: Khaki, Black and Grey check vest. You can wear it on formal or casual occasions, work suit, ball suit, wedding suit and others. If you have any questions about this product by COOFANDY, contact us by completing and submitting the form below. If you are looking for a specif part number, please include it with your message.